One of the dominant modes of ideal male beauty in contemporary Japan differs from the generalized Western ideal of muscularity in being slender, shōnen-like (boyish), and predominantly kawaii (cute). This kawaii masculinity is omnipresent in contemporary Japanese culture, from advertising to TV programs, from magazines to fashion media, articulating its potential influence upon contemporary Japanese men. In this talk, Masafumi Monden will attempt to examine a particular sector of the significance of this boyish male beauty in contemporary Japanese culture – namely the intersections between masculinity, body, fashion and self-hood. It argues that the significance of such a male beauty lies in the possibility that representations of “masculinity” embodied by these men might both reflect and shape certain ideals and ideas of gender, which are consumed by men in Japan. 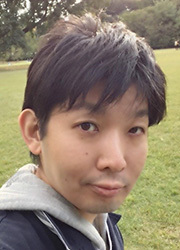 Masafumi Monden is a postdoctoral researcher, specialising in Japanese fashion and culture. He gives lectures and publishes widely in the areas of men’s and women’s clothing, Japan, art, youth and popular culture. His first book, published by Bloomsbury Academic in 2015, entitled Japanese Fashion Cultures: Dress and Gender in Contemporary Japan, details the relationship between fashion, culture and gender within contemporary Japan, and its relevance to an increasingly transcultural world. He is currently conducting research on cultural imaginations of Japanese girlhood and boyhood, and cultural history of fashion and the body in modern Japan. He is a recent recipient of the Japan Foundation Japanese Studies Fellowship (2016-17) and The National Library of Australia Fellowship in Japan Studies (2017). Limited priority booking available online 2 days before event. Please check this page for updates. Top Image Credits – Photo: Shingo (MILKBOY), Styling: Kenji (MILKBOY), Hair & Makeup: Kyouichi Hirota, Model: Musashi Rhodes.